1. One child under the age of five dies every two minutes in the developing world due to a lack of clean water. That’s 800 children a day, and nearly 300,000 children a year. 2. You can now drink a craft beer that helps stop the above. Few will read the above statistic and fail to be shocked. Indeed it was this knowledge and the awareness that so many of these deaths are preventable that inspired Alan Mahon, co-founder of Brewgooder, to start up this Scottish social enterprise. Johnston Carmichael met with him to learn more about how Brewgooder is very different to your average brewery. 'The idea of using beer to support clean water projects was an obvious one; from a consumer point of view you get a drink and somebody else gets a drink, but it also came from personal experience. I did some travelling around Nepal and got a parasite from an unsafe water source. I had access to the drugs I needed but there are 650 million people who don’t have that luxury and take a chance with their lives every single day. So I thought people drink beer, they talk, it’s a social thing, so if you could create a product that people wanted to drink but that also highlighted something alien from their day to day existence, then that could be a powerful weapon for change’. Alan Mahon, co-founder of Brewgooder visting the site of one of their clean water projects in Malawi. 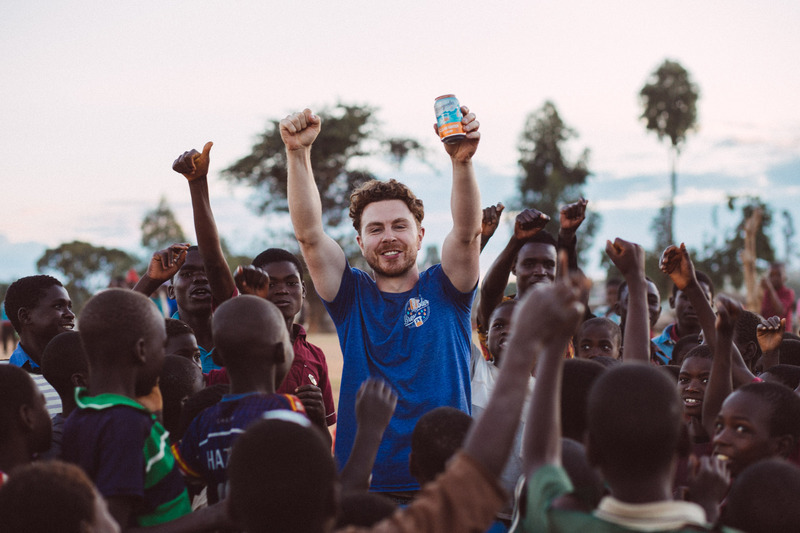 It was over a drink with close friend Josh Littlejohn (founder of Social Bite, another of Scotland’s social enterprises of which Mahon is a Trustee) that the pair came up with the idea creating a beer that did some good in the world. The rapid growth of craft beer in both the US and UK assured Mahon that their idea had real potential but he knew that getting the taste right and creating a quality product was just as important as communicating the cause. ‘You can’t create a charity beer that tastes rubbish because people will buy it once and never buy it again. So we wanted to make a great beer that you could drink easily, was low volume and refreshing. And as a result decided upon a lager’. ‘If wasn’t difficult to sell our concept to James and Martin; I think it was something they naturally gravitated towards because it was a bit out there – they were already constantly doing things that push craft beer to its limits. Beer is so collaborative which you see when working with the likes of BrewDog; one of the best things about them is that they continually work to make improvements to our beer. Brewgooder probably wouldn’t exist without their help; if Josh and I had started brewing in our bathtub, then had to find a facility here in Edinburgh, if we had to go through that journey we’d still be promising, but instead we’re already delivering. That’s largely because we’re standing on shoulders of giants like BrewDog. Launched in March 2016, Brewgooder is a refreshing, citrusy lager with light floral notes and a sweet malty base. Great taste aside, did the fact that 9 out of 10 millennials will switch brands to one associated with a cause help create the ideal consumer market to launch such a product? 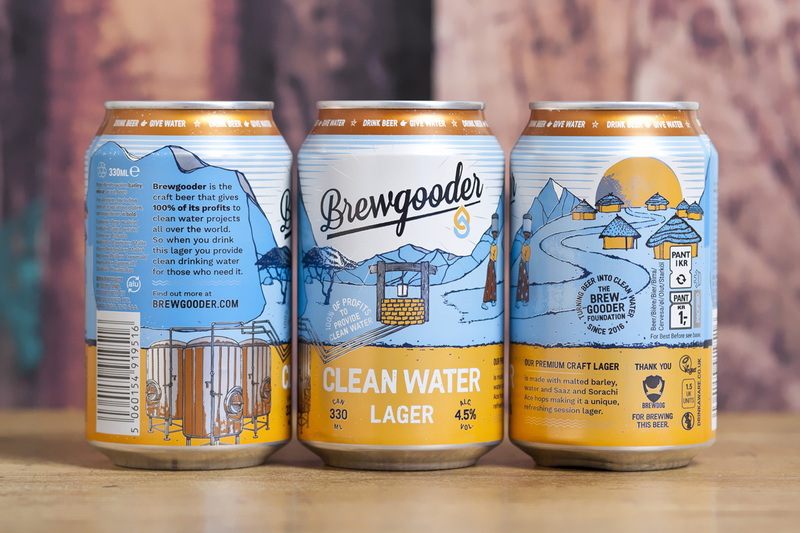 ‘I hope our customers advocate for Brewgooder because they see us living the actual values; we’re showing the impact of the product and have a genuine belief and passion for the cause. We’re a mission brand so we have to communicate our story as often as possible; if people are engaged in your story then they may pay and buy more’. ‘There’s people who inspire you to take the leap by what they’ve done. For example, Lucinda Bruce Guardian from Genius Foods – I’m not a coeliac but she’s completely transformed that market. On any entrepreneurial journey there’s lots of different inspirations especially when you’re dealing with guys like BrewDog who have shown it’s possible to have an idea and actually deliver on it’. ‘We’re a mission brand so we have to communicate our story as often as possible; if people are engaged in your story then they may pay and buy more’. ‘The success of crowdfunding was brilliant; it proved that we weren’t just trying to flog something crazy and then winning £70,000 at Scottish EDGE allowed us to hire some really talented people which was transformative. The ASDA listing showed there was a definite national appeal for the product. However on a local level, one of the best things is that I live across the street from a stockist and it does really well there because their people get what we’re trying to do. Just being able to walk past in the morning and seeing it in the window, it makes it so real’. 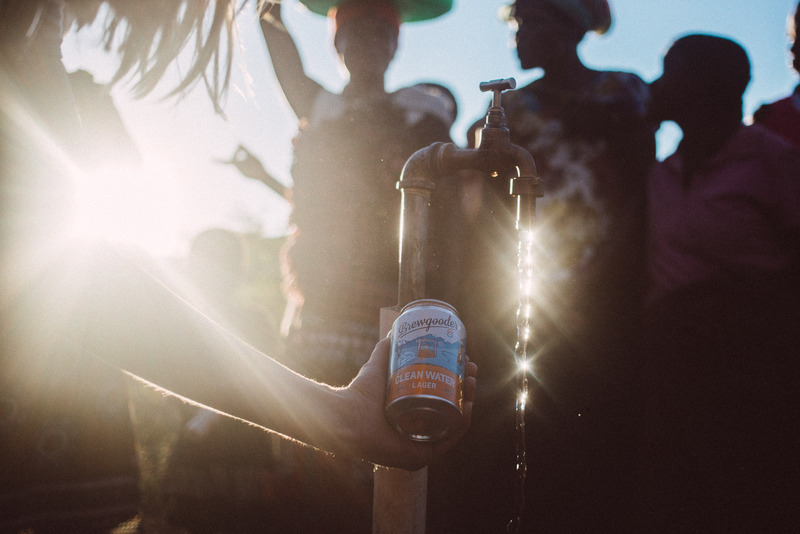 Most importantly, this success enabled Brewgooder to fund two clean water projects in Malawi. Strong relationships with a number of charities, including the Nora Docherty Foundation, helped facilitate the provision of clean water wells in the remote East African countryside. ‘When we started this journey we said we need to get out there and see what life is like for communities without clean water access which the Foundation guys helped facilitate. We went and said ‘what do you need?’ and they explained that they needed a tank well which was unheard of in places like that. We paid for that in a place called Chiluzi. We were then introduced to another Malawi based organization which allowed us to place a protected water source, called the Ellon Well, in a village called Phirilongwe. We’re hoping that moving forwards, we can export these learnings to other projects whether it be Madagascar or Chad, or South East Asia or Latin America’. Brewgooder’s mission is simple: sell more beer, support more projects. Being the first social enterprise to gain a national listing with ASDA is highly impressive and demonstrates of the importance of using effective storytelling in order to enhance the power of a brand and grow a business. ‘I want the beer to be easily available for those who support our proposition of drinking beer and giving water. We have some strategic goals; we’d like to get into a national hotel chain, another national supermarket, a cinema chain, a bar chain; we’re edging there so getting closer and closer. Doing this will enable us to double or treble our impact. We’d love to also create an emergency water fund’. ‘Obviously going out to Malawi is fantastic as is getting to wake up and sell beer. But from a day to day point of view my favourite thing about Brewgooder is the two people that work with me. They are better than me; I can give them the bigger picture but the actual execution is those guys working flat out to make it happen. And they’re doing this to facilitate more clean water projects which is completely inspiring’.